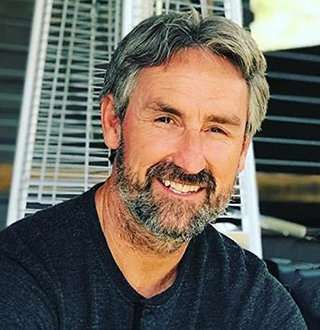 Mike Wolfe confessed to having felt blessed following a year anniversary of his marriage to his wife. The reality star has finally 'picked' an 'item,' he won't sell. He’s the creator and the star of the show, American Pickers -- a show about a group of collectors (Frank Fritz, Robbie Wolfe, Danny Koker, Danielle Colby)who hit the road to buy or to ‘pick’ antiques for resale, for clients or personal collection. On 10 January 2010, the first episode of American Pickers was released on the History Channel with 3.1 million viewers watching it. The show is in its nineteenth season, as we speak. Besides his duty as the creator and star of the hit TV show, he currently operates the antique and apparel company, Antique Archeology. Born on 6 November 1964, Mike grew up with two siblings: Robbie and Beth. As a single parent, his mother had trouble making ends meet. His tough upbringing and working with very little would later shape him into a sharp bargainer. Aged just 6, he made his first ‘pick’ as he found an abandoned bicycle which he sold for $5. He would spend almost 20 years before turning his profession into a TV show, American Pickers. Early on his picking rendezvous, he scored a major deal after selling a bike for $5000, which he had originally bought for $50 from a farmer. Before his show was picked by History channel, he and his American Pickers co-star, Frank Fritz spent about five years pitching it to various media outlets. But once it aired on TV, people loved the idea of two antique nerds rummaging through cities and collecting those antiques. Now, after eight years of the premier, nineteen seasons, the show is still running, with a new one set to release soon. His picking experience has been on display not just on the show but has been chronicled in his two books: Kid Pick: How To Turn Jack Into Treasure and How To Pick. Mike's tenure at TV has helped him participate in humanitarian projects and donates a large chunk of his earnings to charities. Further, he can be seen raising funds for St. Judes Hospital, Operation Smile, ASPCA and animal shelters. With the History channel paying him a reported half a million for a season of his show, he has been aided in his charitable works by History. Despite him giving off a considerable sum to charities, his net worth stands at around $13 million, as compared to Danny's $23 million, Frank's $5 million, and Danielle's $1.5 to $ 2 million. Capitalizing on his newfound wealth, the 53-year-old antique collector bought his dream house -- a 5,100 square feet suburban house spread over 32 acres of woodland. His Children, Kyle and Charlie, and wife, Jodie Faeth call this their home. Jodie and Mike dated for about 10 years before getting married. For an antique picker and a lover of old and rusty things like Mike, it is quite commonplace to own a 1962 Volkswagon Type 2 double door van, which looks like a fly without wings, zoomed thousand times. But Mike not only owns the old van but also drives it every now and then, even in his show. At the moment, however, Mike is set on selling the thing, and highest bid on the van has been almost $ 30,000. It might seem quite a lot for an old junky van, but apparently, the vehicle runs smoother than its appearance suggests. Mike and Jodie finally got married on 8 September 2012 in Leiper’s Fork, Tennessee. They had picked ‘Oh Brother, Where Art Thou?’ as the theme of their wedding. By the time of their wedding, their daughter, Charlie was already eight months old. Before Charlie’s birth, Mike was already fathering Jodie’s child, Kyle from an earlier marriage. Their Children, Kyle and Charlie, have a 24 year age difference. On a year anniversary of their marriage, Mike tweeted expressing a blessing like feeling on the momentous occasion. All things seem to indicate one thing: He's a family guy. A ‘picker’ by profession, Mike hasn’t let his professional hazard rub him off the wrong way, for he has picked the right wife.